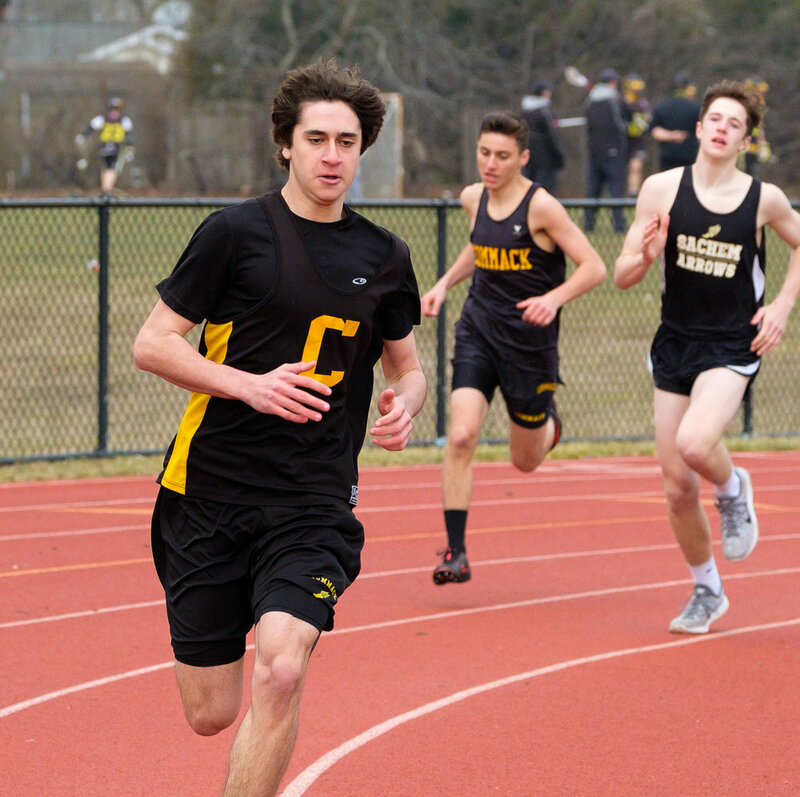 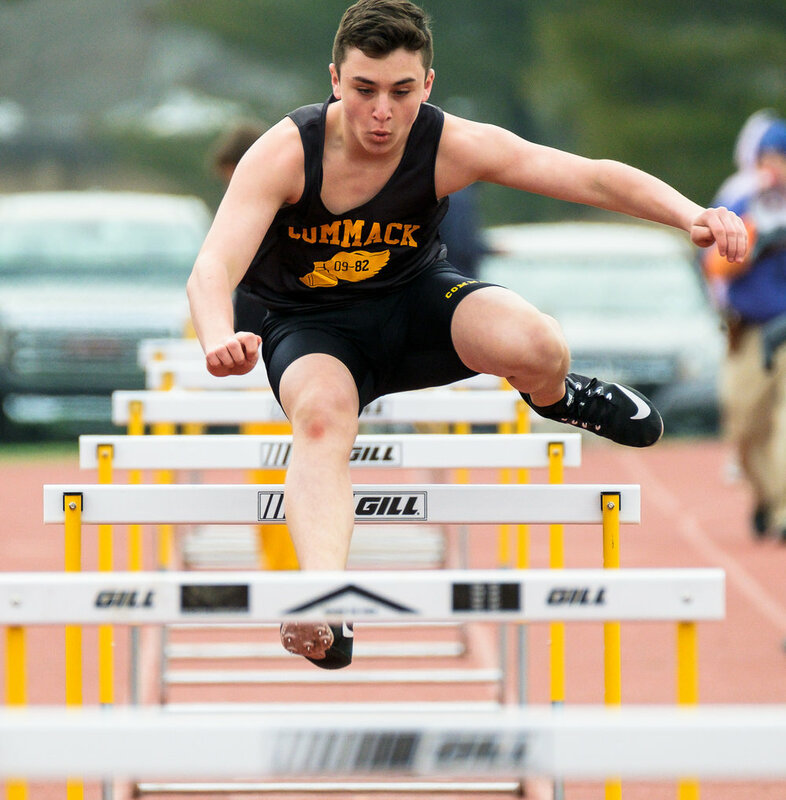 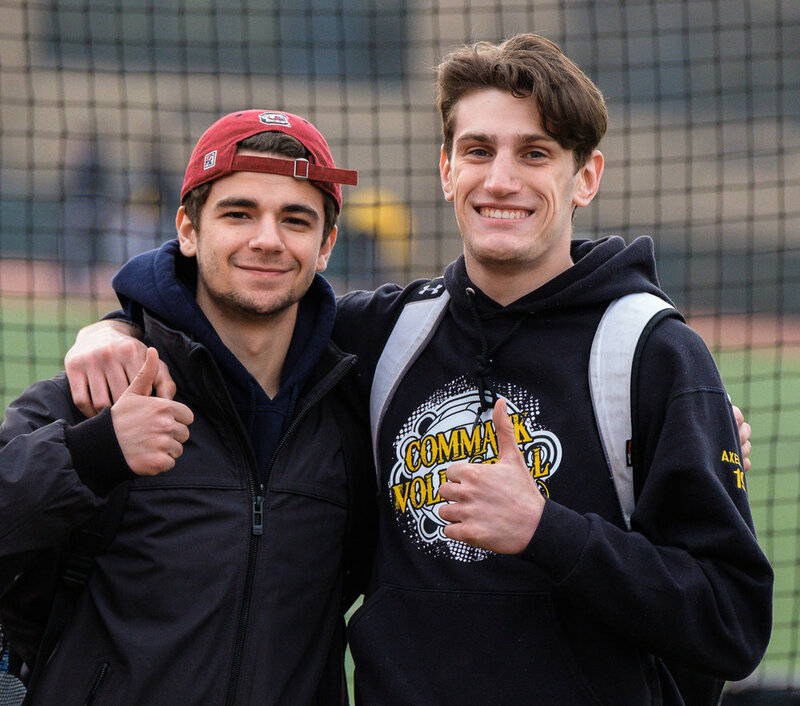 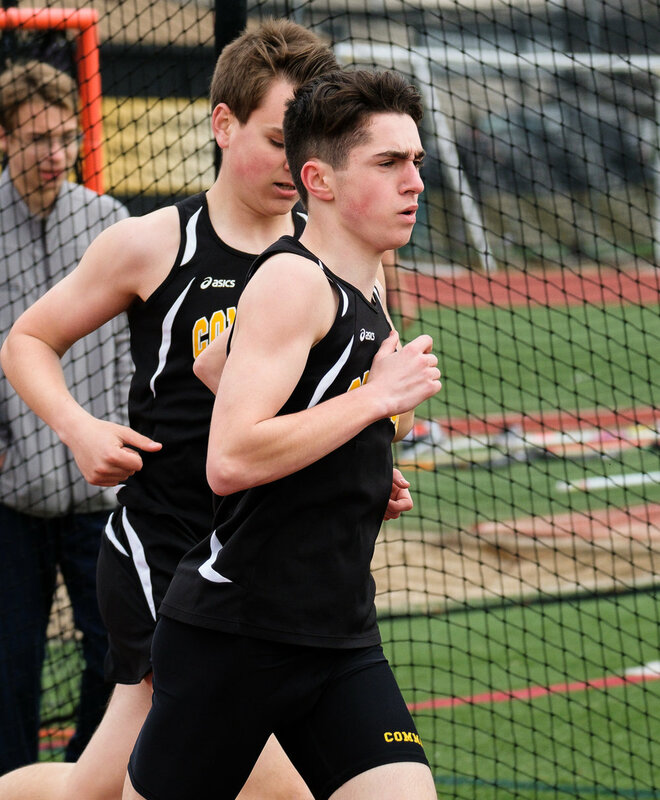 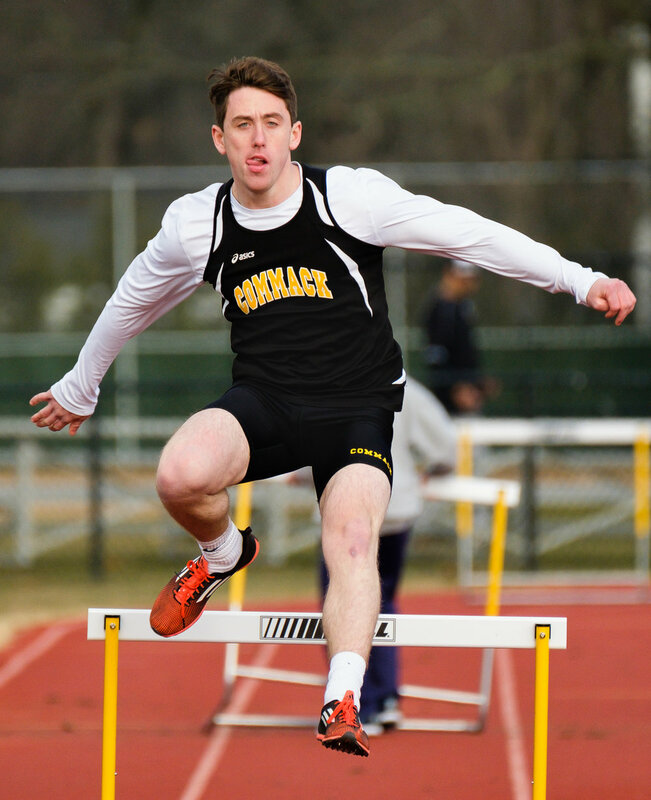 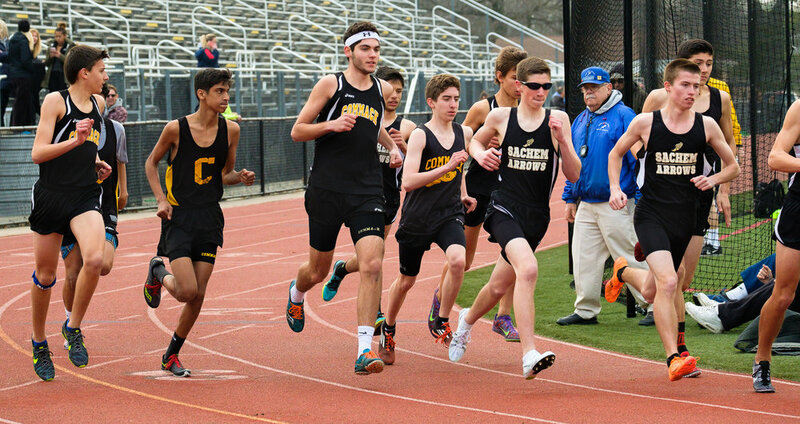 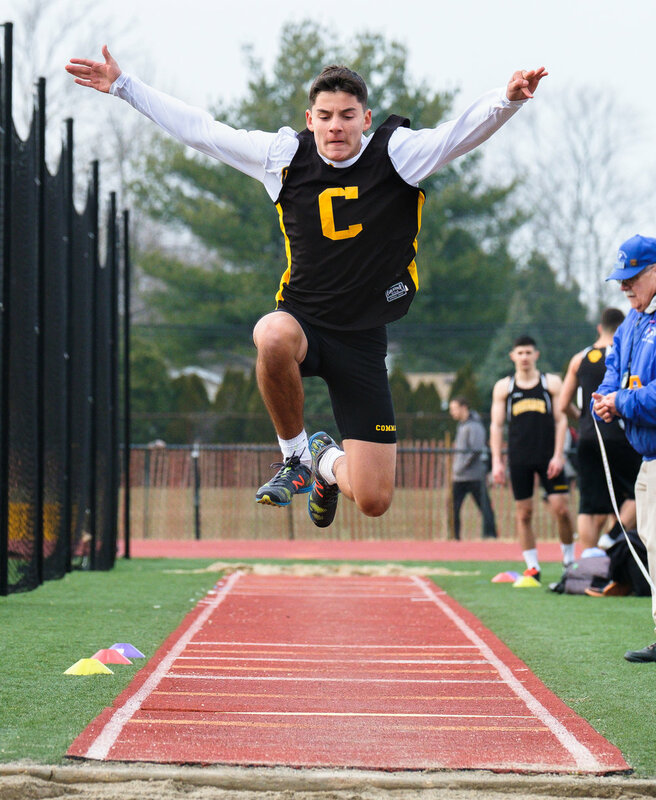 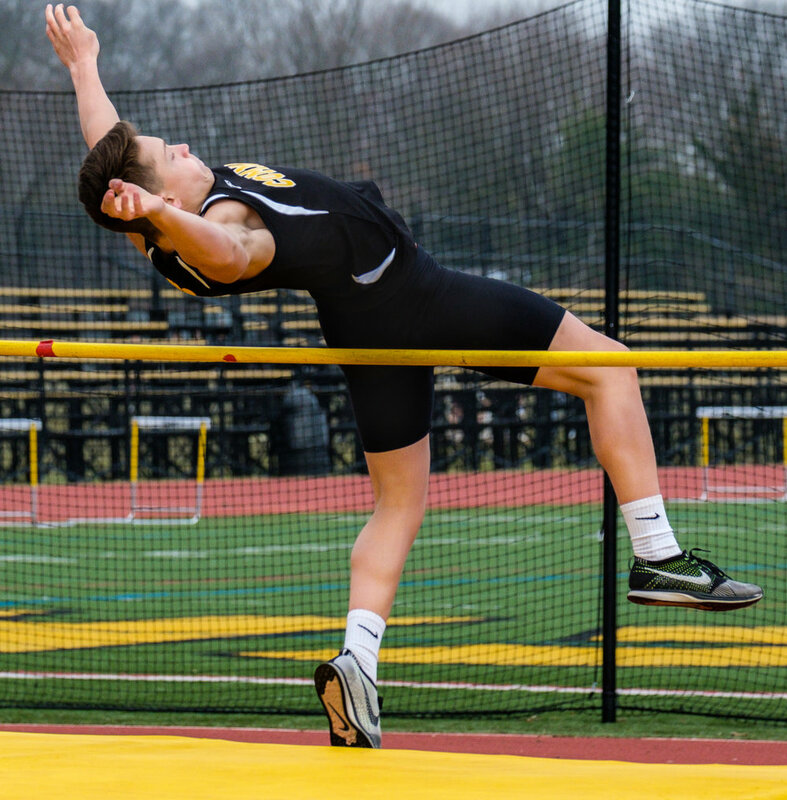 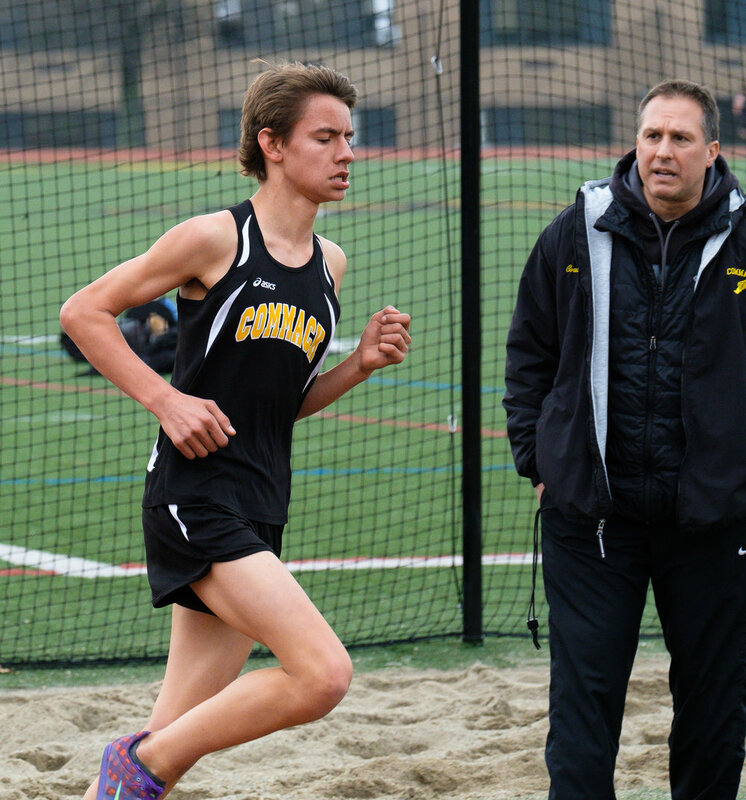 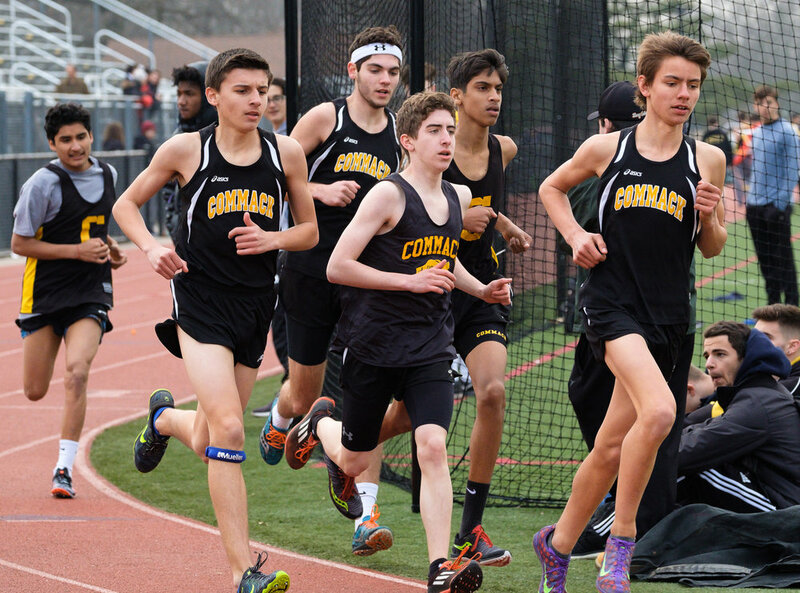 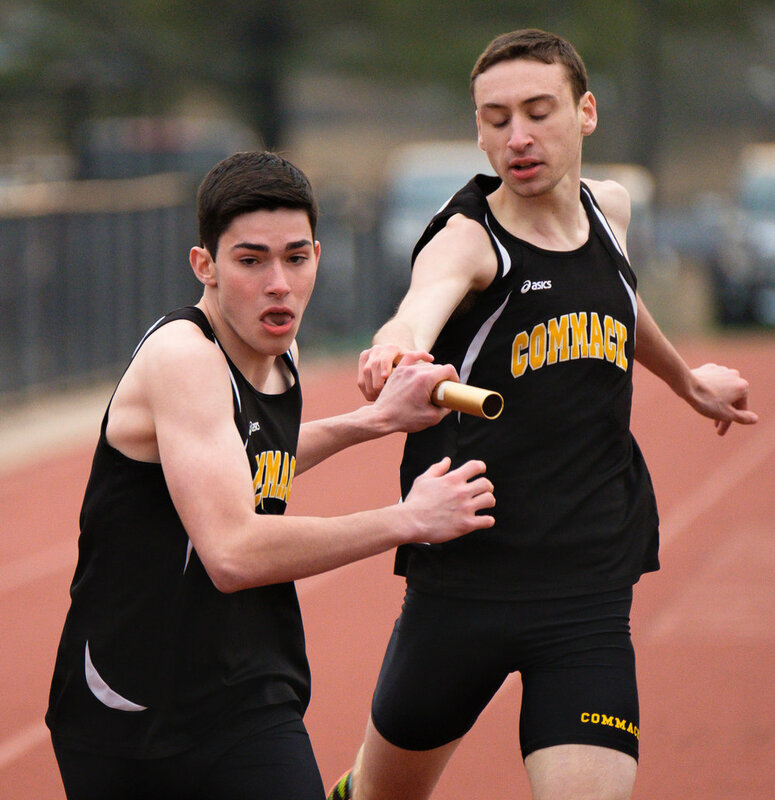 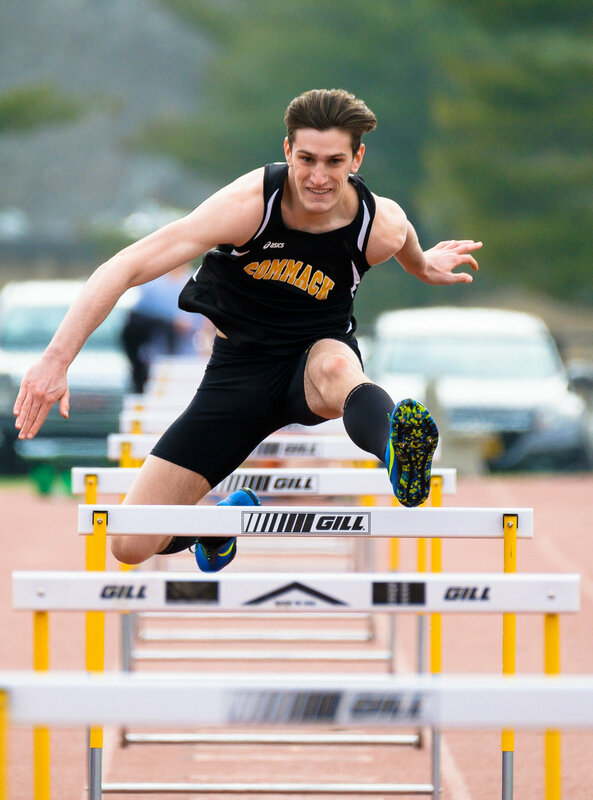 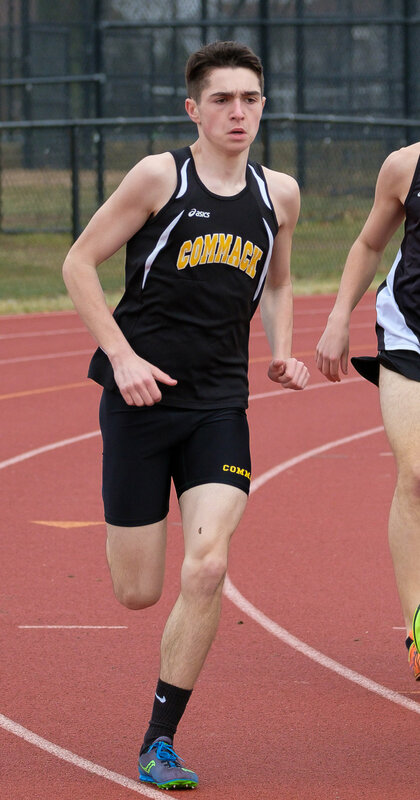 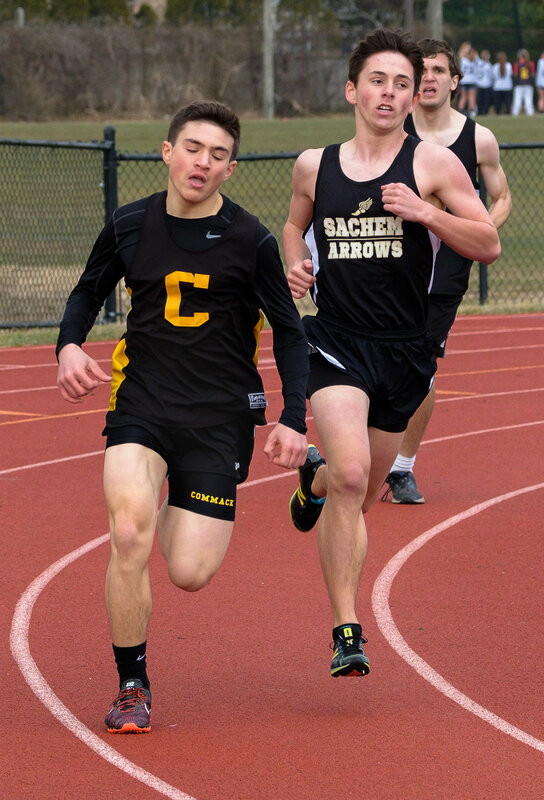 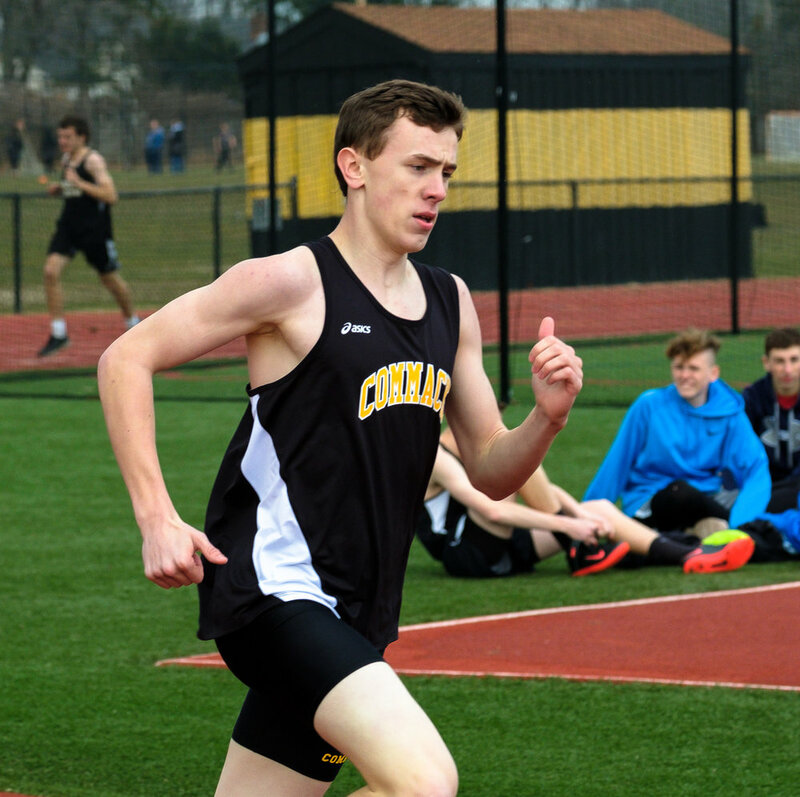 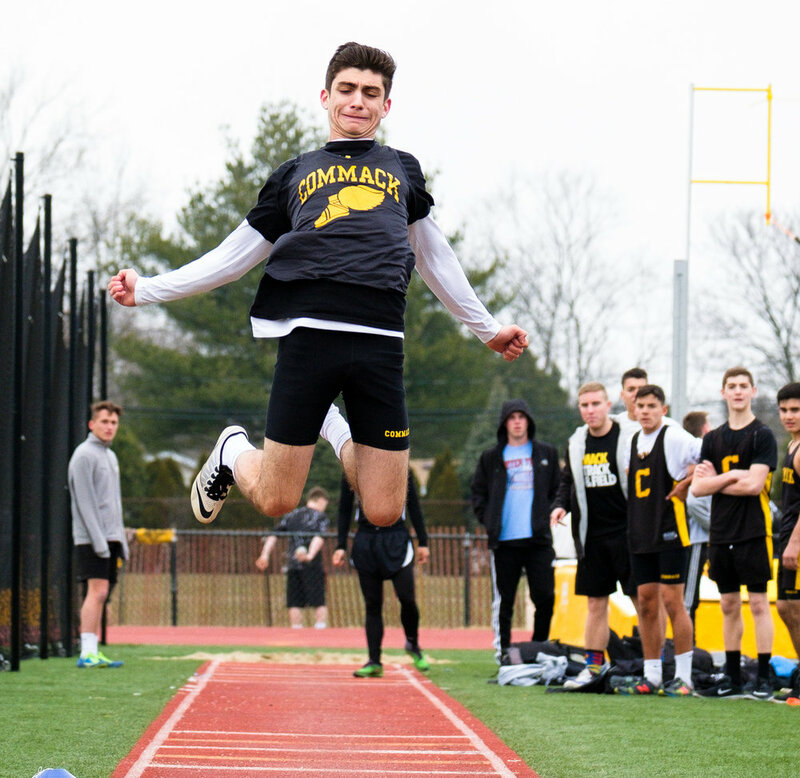 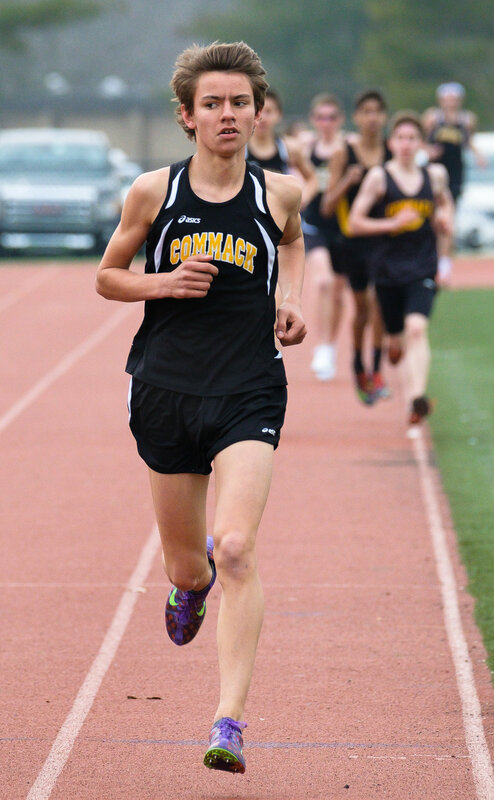 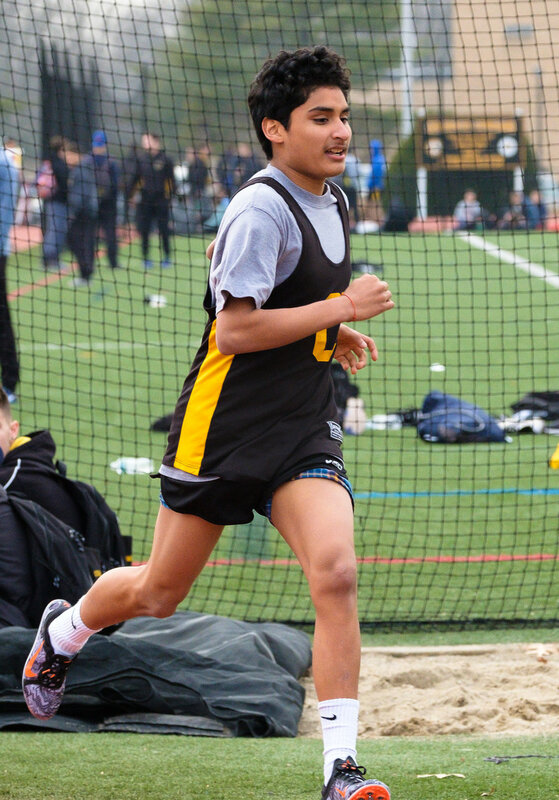 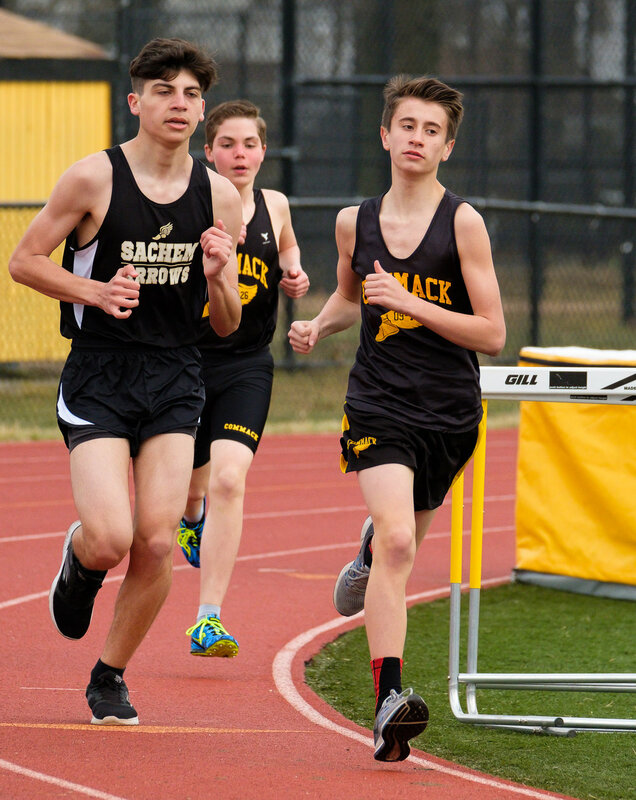 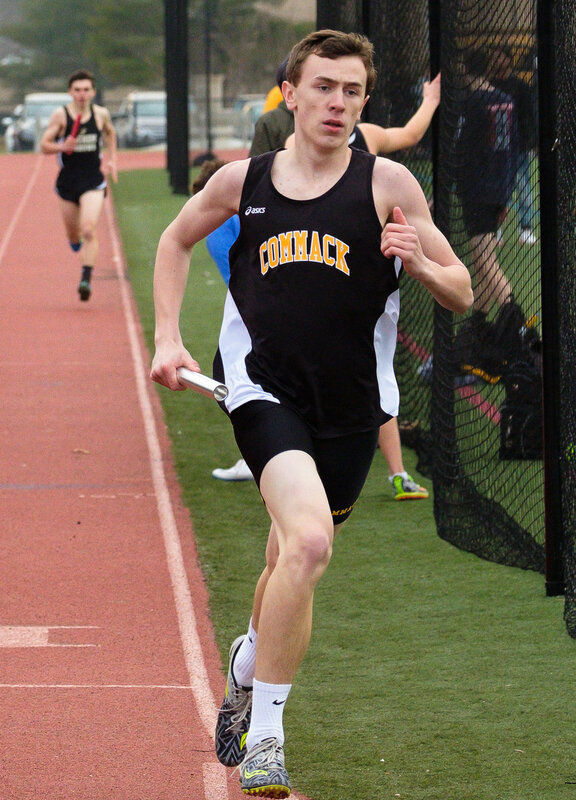 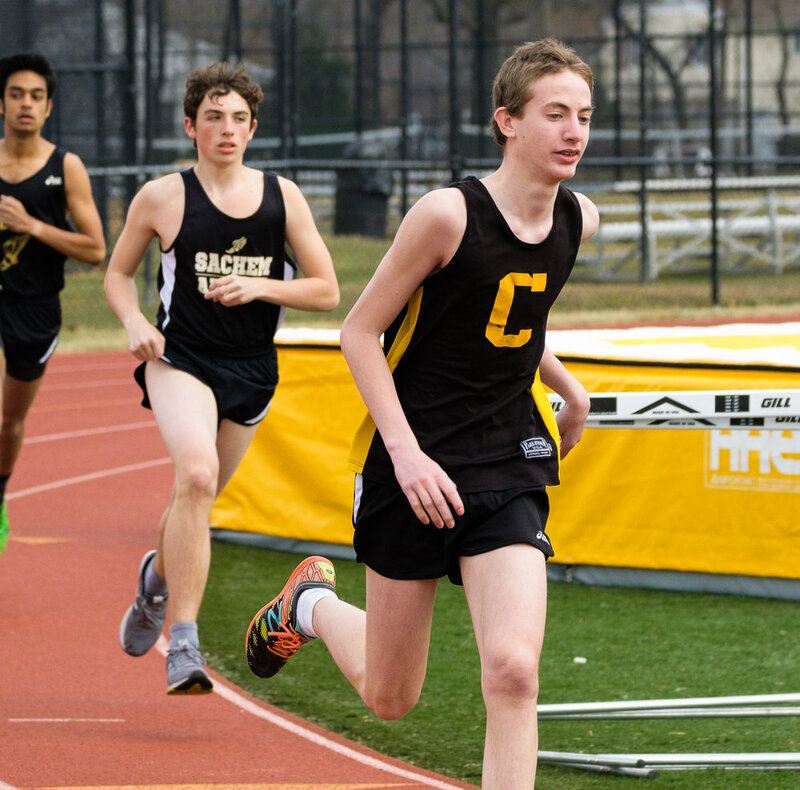 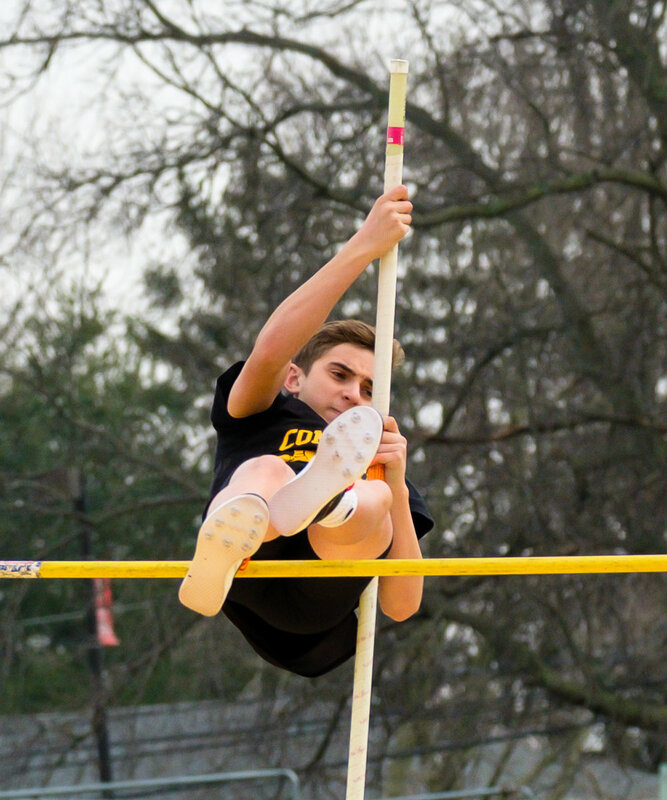 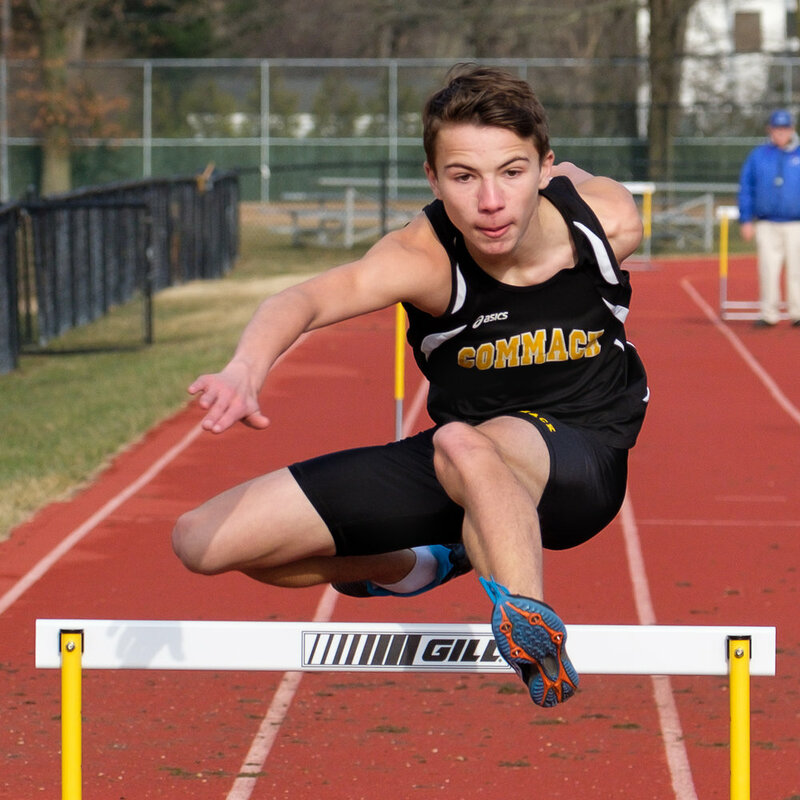 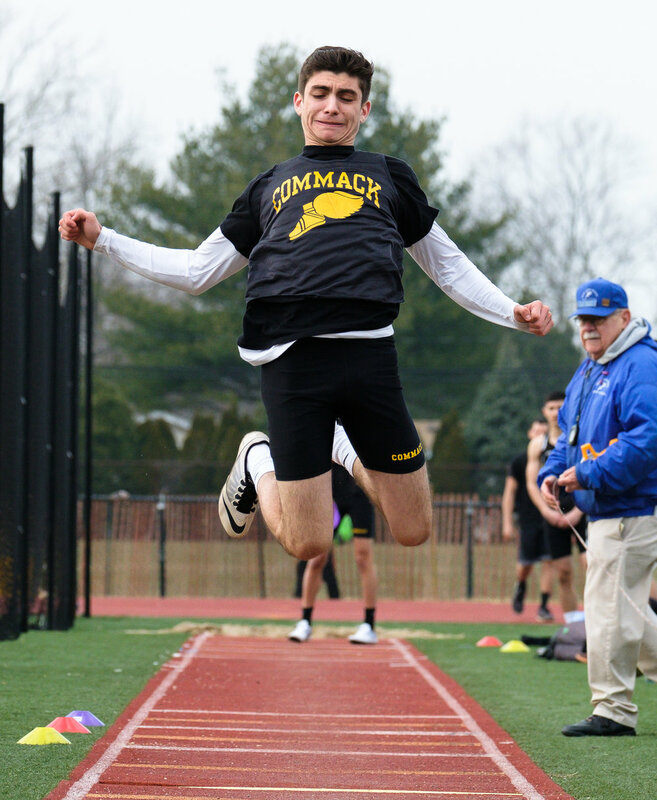 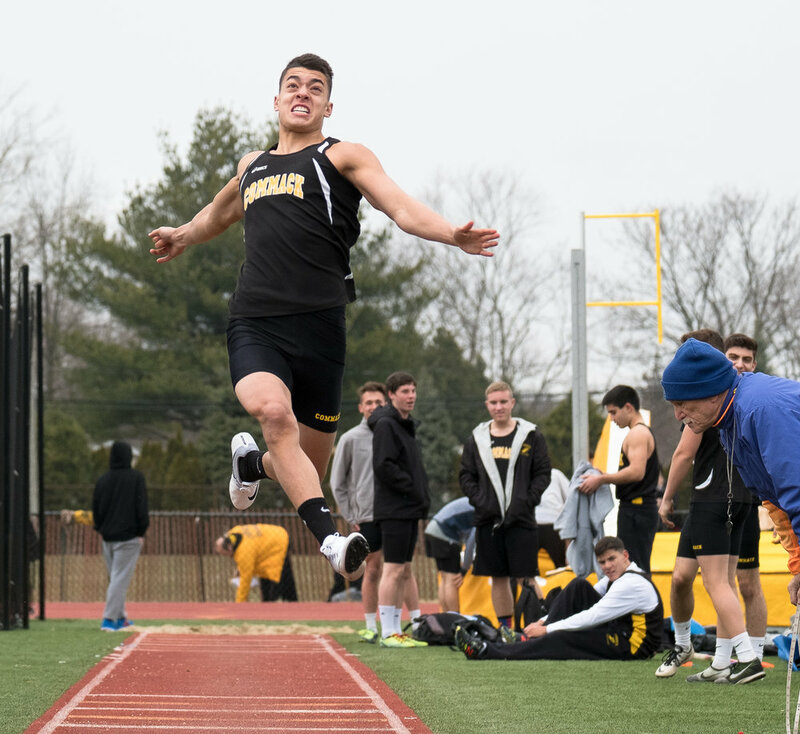 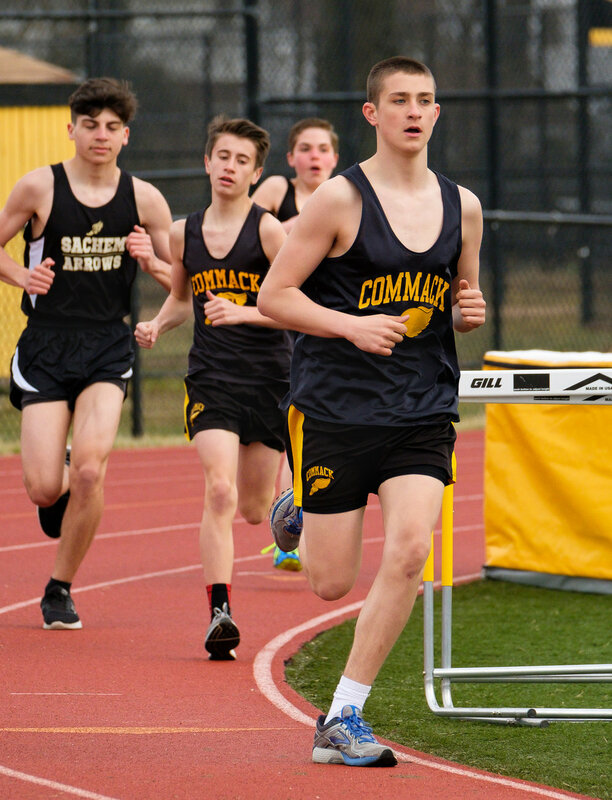 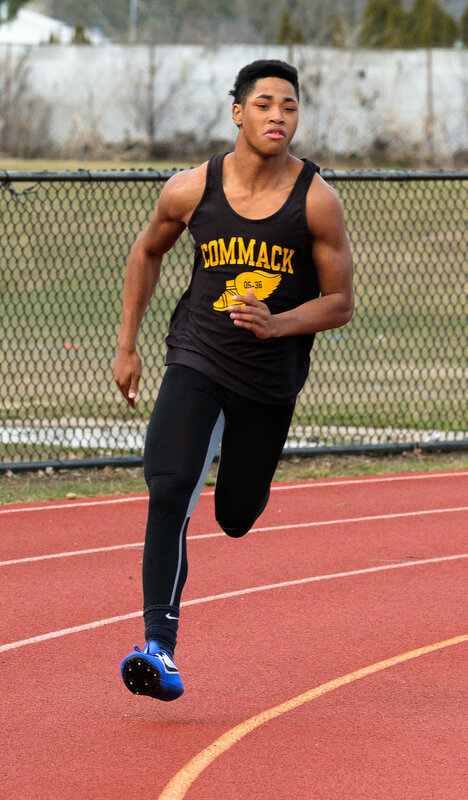 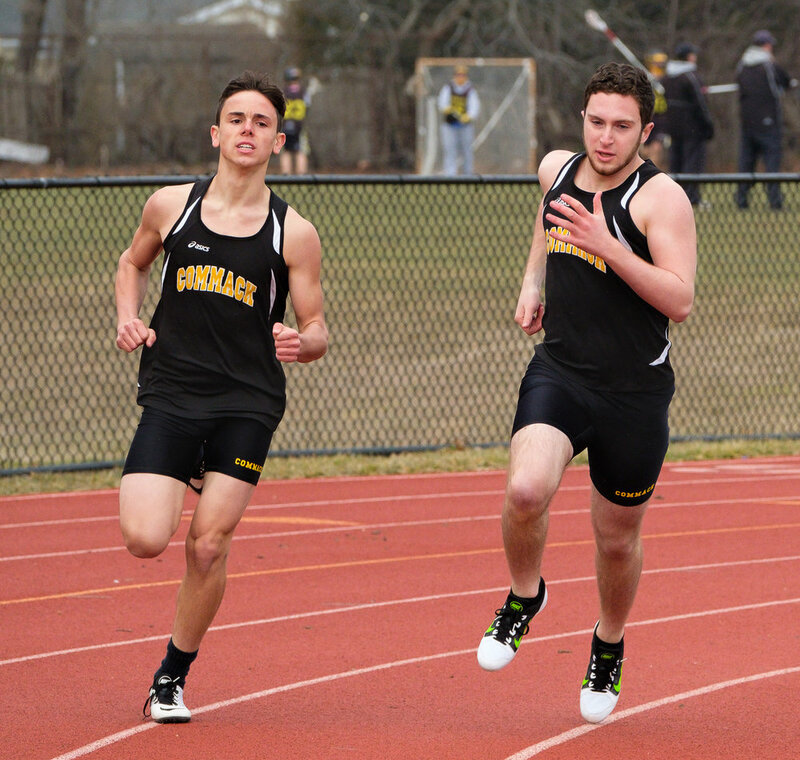 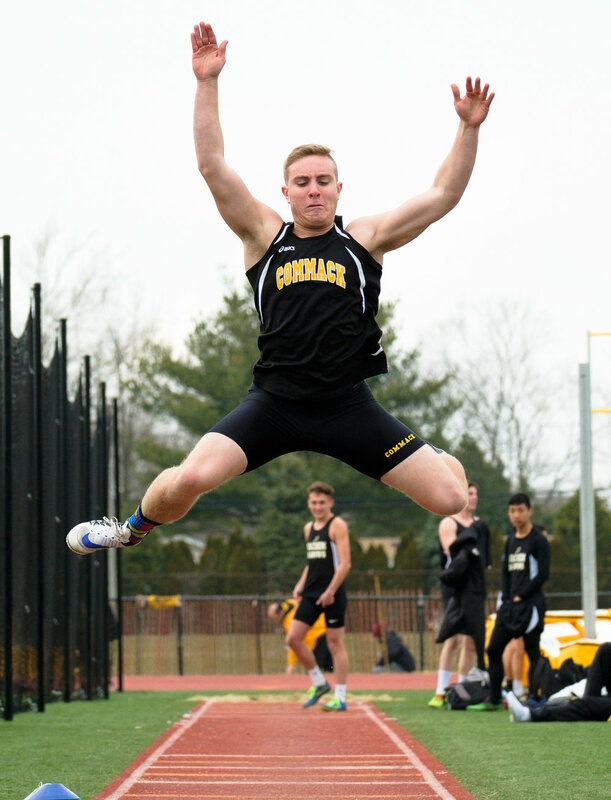 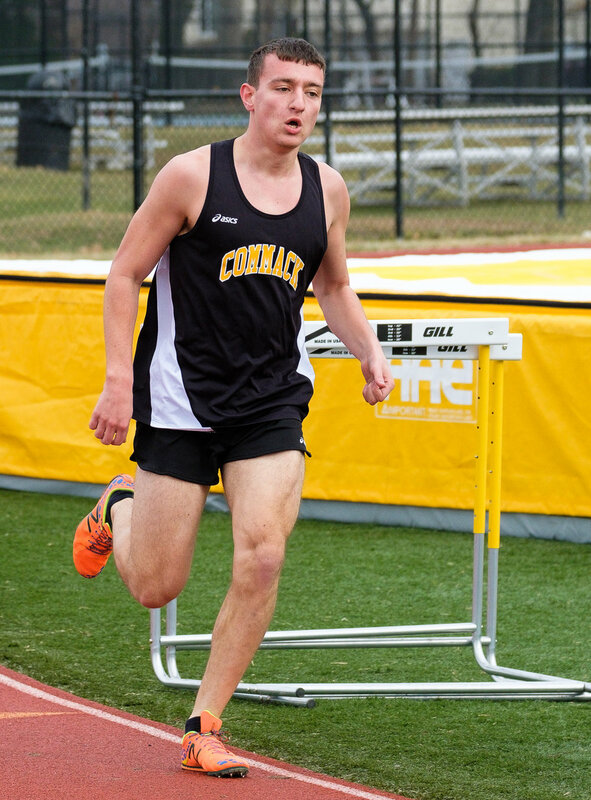 Congratulations to the Commack boys track team on their win over Sachem North. 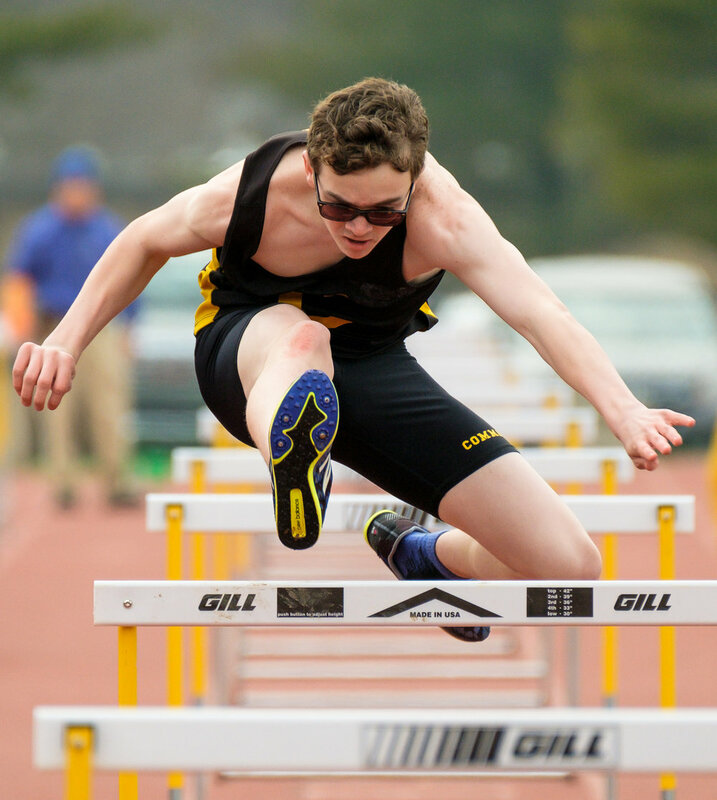 Luckily, the weather held for this meet. 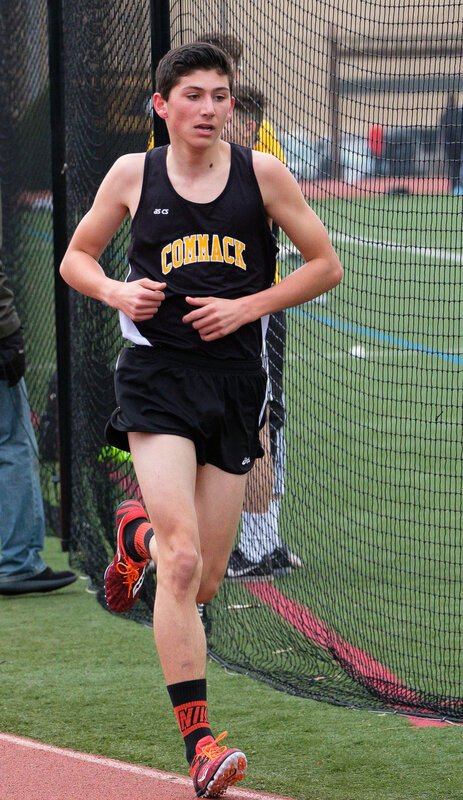 It was a pretty dense overcast with only a few drops here and there. 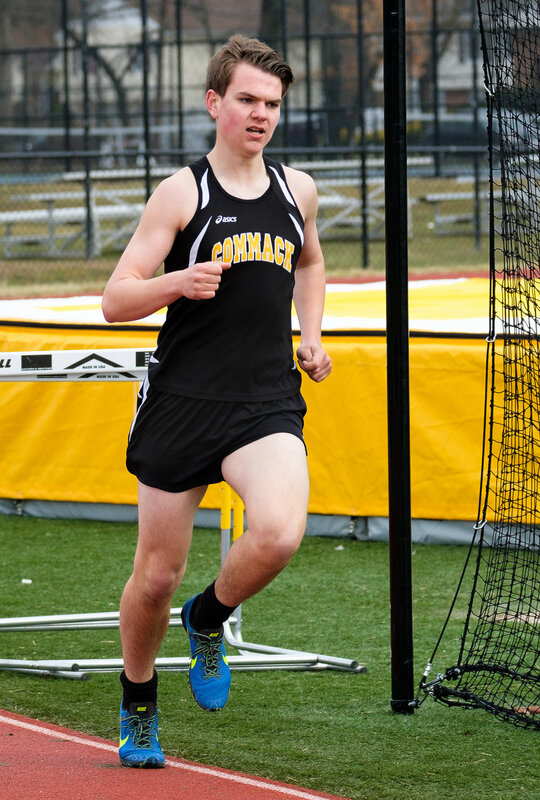 I shot this one on Auto-ISO since the cloud cover varied enough to warrant constant exposure changes. 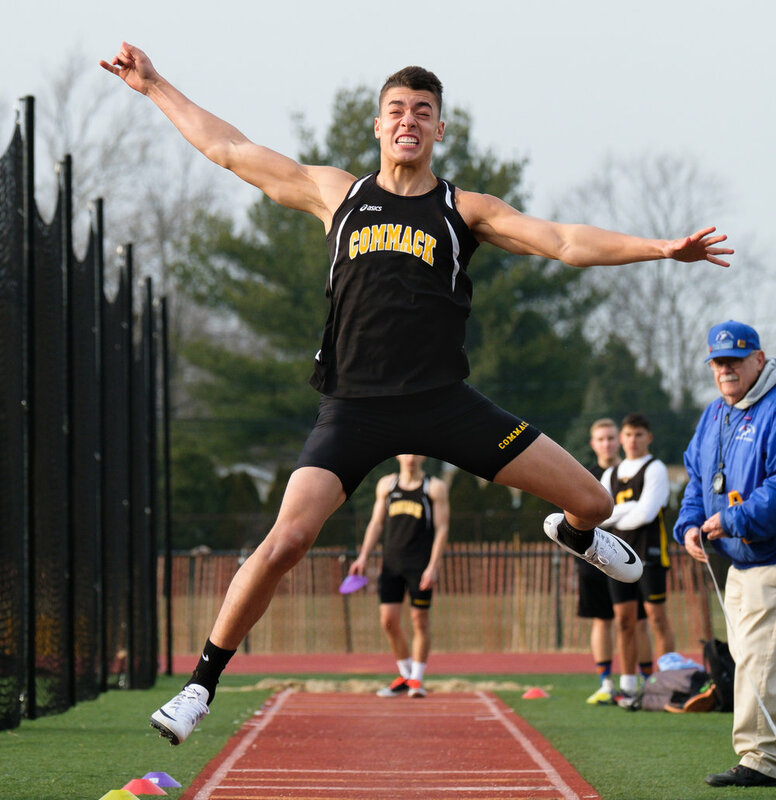 Kept the shutter speed at 1/1600 sec. 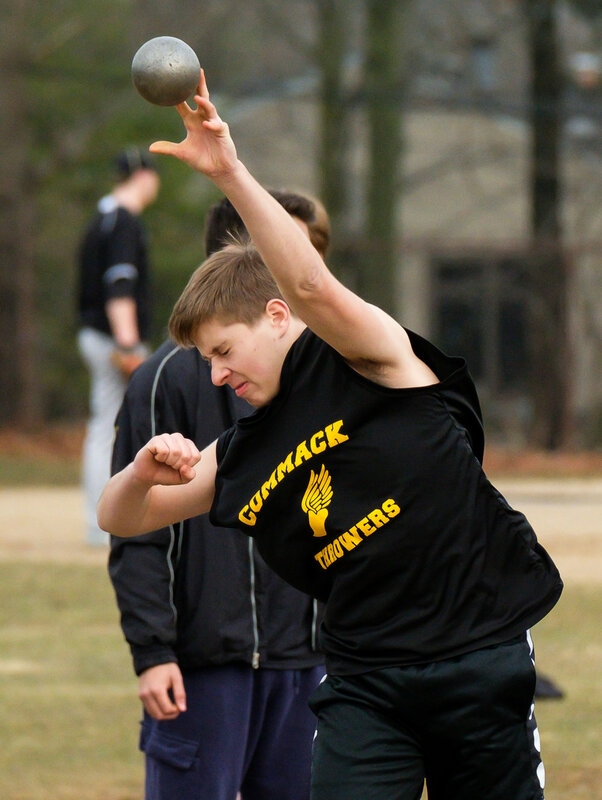 with a wide open aperture. 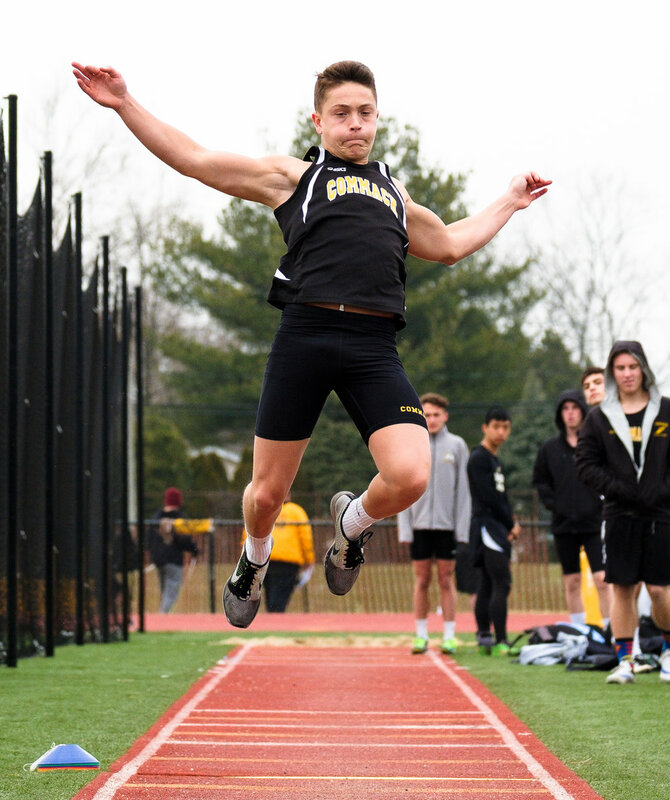 By the end of the meet the clouds were dense enough that my ISO was pushed up to 6400 but, with my Fuji XT-2, that's not terrible as long as you don't underexpose by mistake. 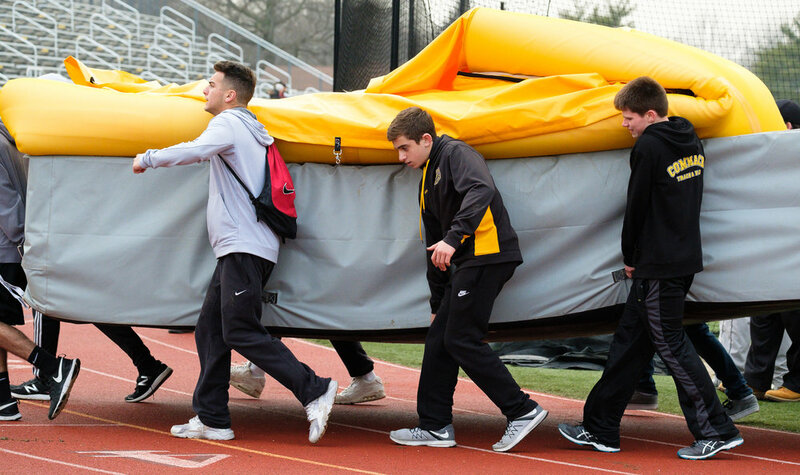 Shooting a track meet is like shooting a three-ring circus with the rings in different counties. 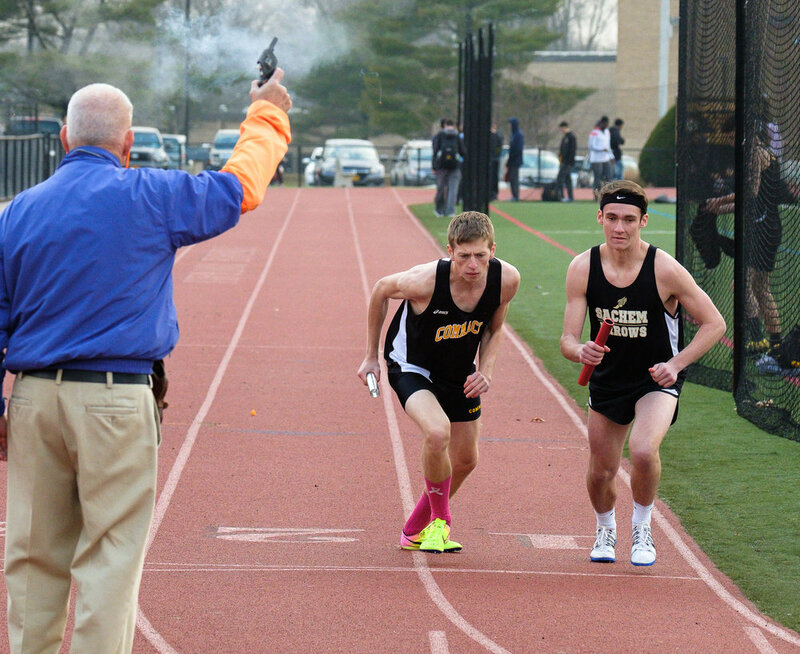 You need to keep an eye out for each of the events going on simultaneously and try to position yourself to be able to shoot at least two events at the same time. 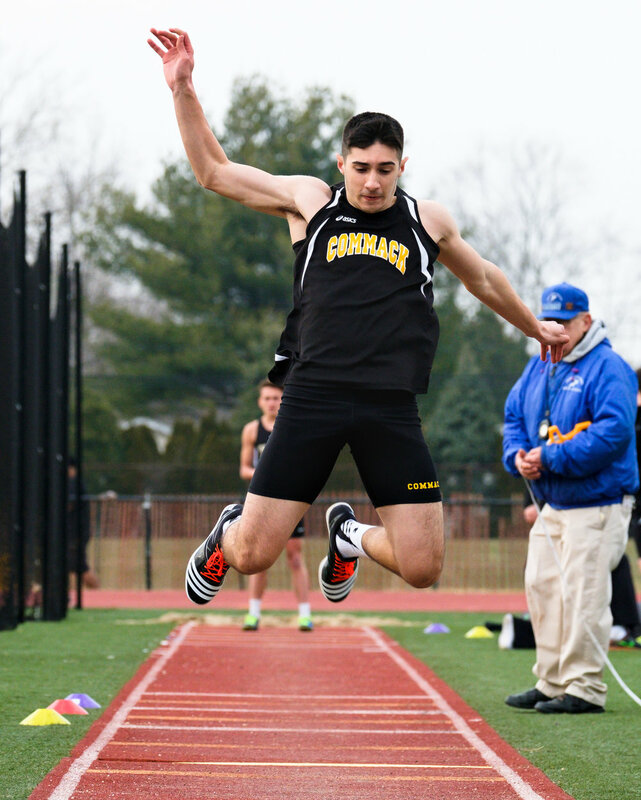 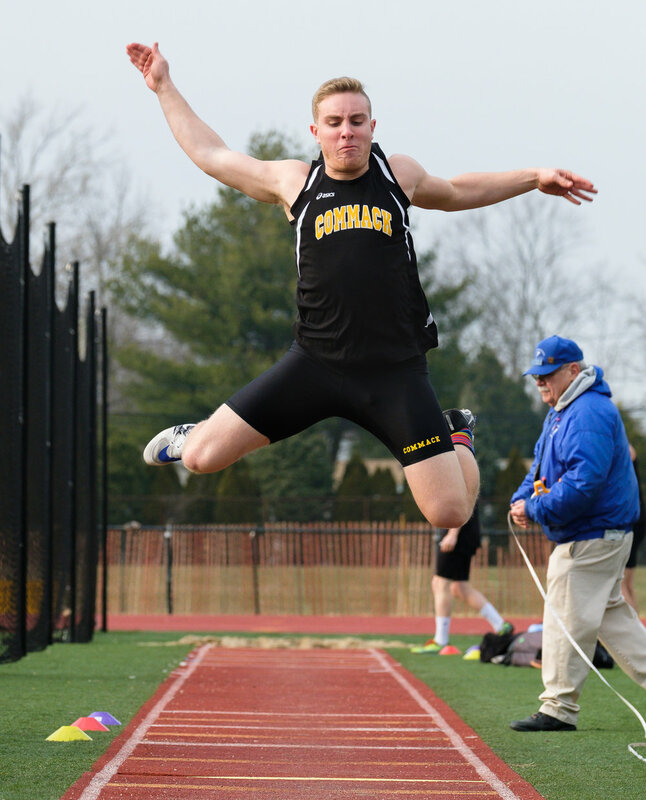 At Commack, once the long jumps and hurdles end I usually position myself over at the shot put area. 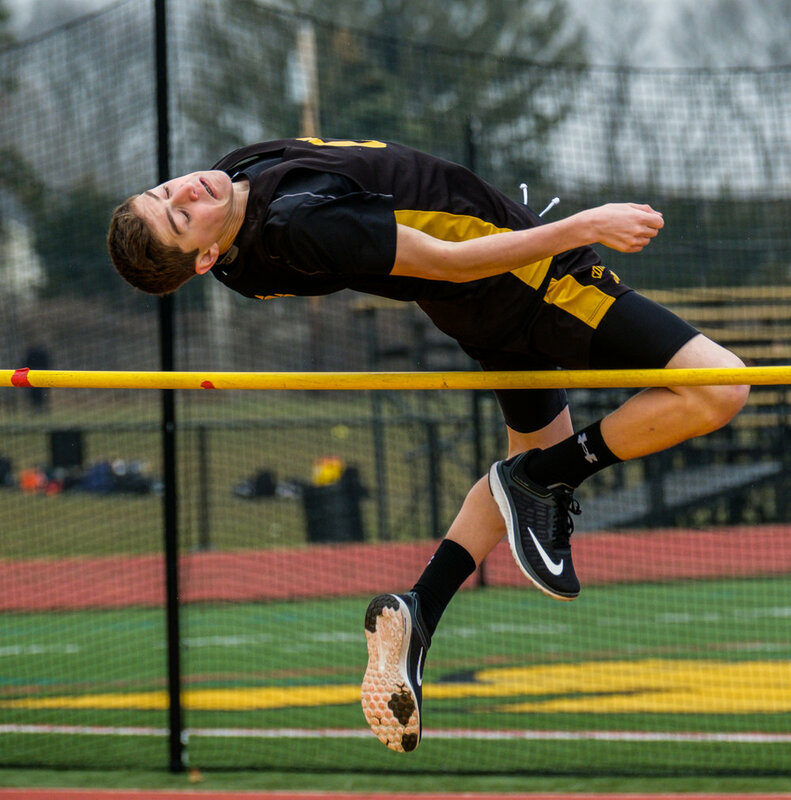 Here I can catch the throwers, pole vault and the longer races. 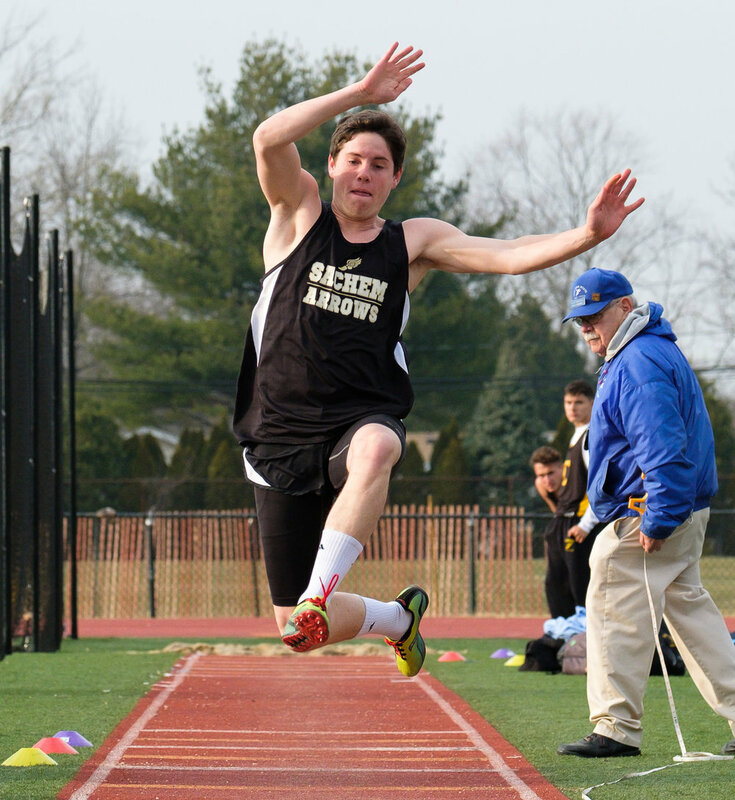 For the 400, I'll move over to the high jump to catch both at the same time. 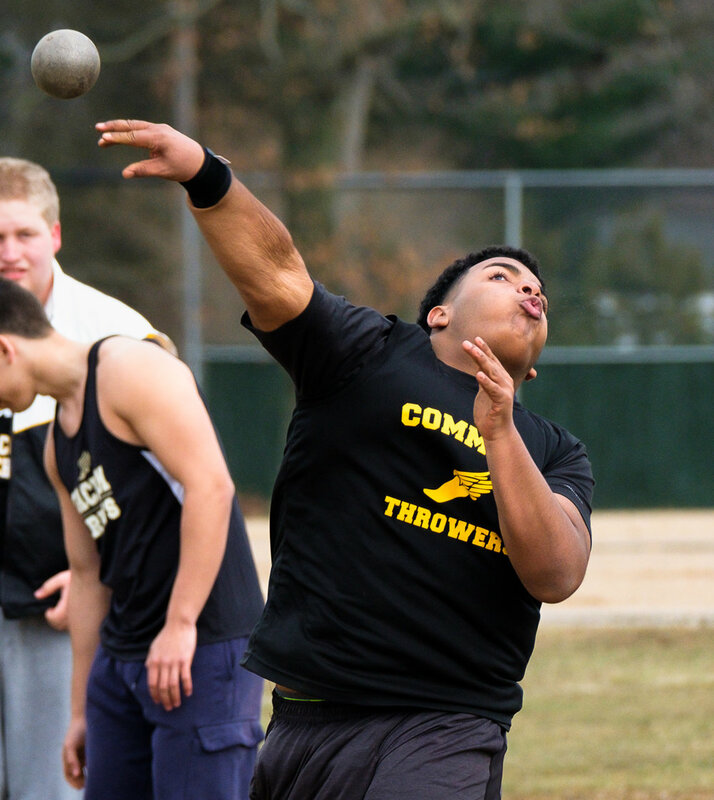 The only thing you really can't make is the discus and javelin, which are not held on the same field. 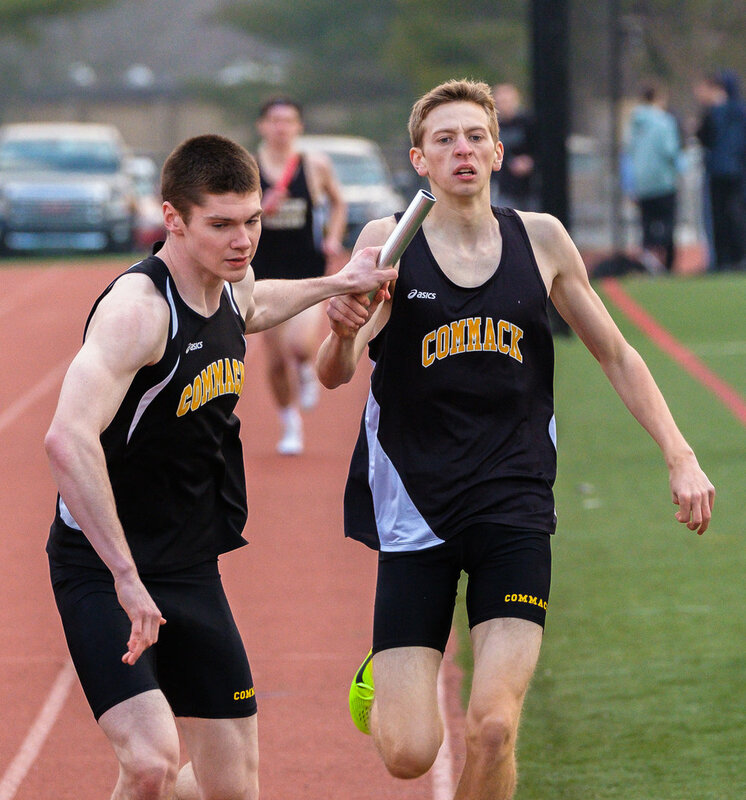 It's a lot of running around but the events don't last long so you have to have a strategy that allows you to get as many different events as possible before they end. 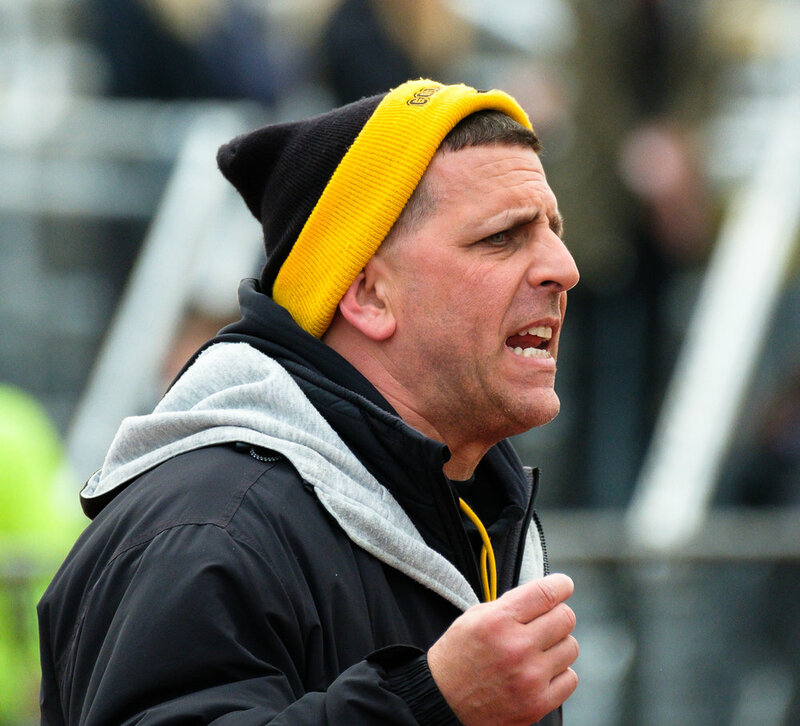 Next up - girls lacrosse.